Bali has a rich and spiritual culture, and the people are friendly and welcoming. Things are slower paced in Bali, allowing you time to really pause and absorb everything you are experiencing. The people dress and behave modestly. People are polite and very willing to help foreigners find their way around. 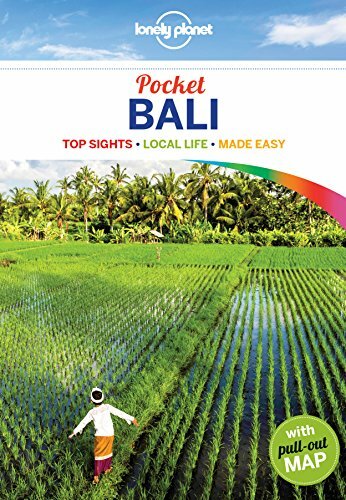 While Indonesia is predominantly Muslim, Bali is a “pocket” of Hindu religion and culture. The most apparent sign of the presence of Hindu religion are the tiny offerings that are spread out everywhere, along the road, in front of doorways, along staircases. The offerings are seen in every Balinese house, work place, restaurant, souvenir stall and airport check-in desk. They are leaf trays holding flowers, salt, rice, even coffee and cigarettes. They are placed outside with a stick of burning incense, a sprinkle of holy water, and this is done a minimum of three times a day. If you accidentally step on one, don’t worry about it. But the Balinese believe if you do so on purpose, you will end up with bad luck. Bali can be crowded in August and September, and again around Christmas and New Year’s. It is also not uncommon for Australians to visit during school breaks in late April, late June and late September. Outside the peak season, Bali can be quiet and feel like a true escape, often times with significant discounts on accommodation. 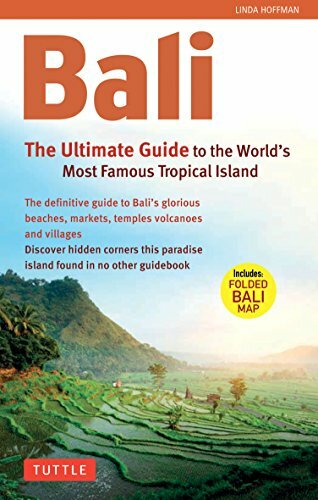 Bali is in the UTC+8 time zone (known in Indonesia as WITA, Waktu Indonesia Tengah), same as Western Australia, Malaysia, Singapore, and China. Be sure to check with your local government officials to see if you need a visa to travel to Bali. More information regarding visas can be found here and here. For more about the culture, history, and travel norms, check out the books below. Bali is one of more than 17,000 islands in the Indonesian archipelago. the Southeastern Islands (Nusa Lembongan, Nusa Penida, Nusa Ceningan). Moss covered rock wall at Tirta Empul healing waters temple. Daytime temperatures are around 68-93⁰ F (20-33⁰ C) year-round. From December to March, the rains can be heavier with occasional monsoons and high humidity, but the days are still sunny with showers arriving in the late afternoon or evening and passing quickly. At higher elevations such as it gets much chillier so prepare by bringing a sweater or jacket to wear after the sun sets. Bali is on the Indonesian Rupiah (IDR), which is the currency of Indonesia. The most popular exchange rate is IDR to US Dollar. The currency code for Rupiahs is IDR, and the currency symbol is Rp. You can find the most up-to-date currency exchange rates here. Money exchanges can be made at the airport when you arrive or at local banks and currency exchange centers. Remember that Travellers Cheques are only accepted at dedicated foreign exchange shops or banks. There are plenty of ATMs around Bali, especially in the larger cities, so you can always get cash once you are in the country, just be aware of your own bank’s fees, ATM withdrawal fees and credit card foreign transaction fees. Biking every morning along Sanur Beach was the best way to start the day! Bali Ngurah Rai International Airport, also known as Denpasar International Airport (DPS), is located in southern Bali, 13 km south of Denpasar. It is the third-busiest international airport in Indonesia. For a list of all Indonesian airports click here. Once in Bali, you can get around by taxi cab, and they also have Uber and Lyft there. So, if you have an international cell phone plan or wifi, you can easily use your Uber and Lyft apps. A common form of transportation is scooters and motorbikes. They are relatively affordable to rent, and you can get most anywhere on them. But, if you plan to get around on a scooter, then pack in a small bag or a backpack. It is not possible to strap large duffle bags or rolling suitcases to the scooters. Bicycles are great to use for internal transportation through the towns and cities. The first Airbnb I stayed in actually came with a bicycle I rode everyday up and down the beach to get to and from yoga. It was one of the best ways to start my day! Whatever transportation choice you make, just be sure to keep your belongings strapped to you, and wear proper safety gear to avoid injury. I read about a place called Power of Now Oasis. As soon as I arrived I knew I had made the right decision. My Airbnb was spot on, with a huge Ganesh statue draped in flowers at the entrance, a private pool, and a balcony that overlooked the pool. Shoot me an email and I’ll connect you with the owner! Power of Now Oasis for yoga and meditation, Genius Cafe for beach side food and drinks, and sunrise bike rides along the beach was the perfect way to start my travels in Bali. Don’t skip this place! Click the photos to scroll through images! The super moon setting behind the volcanic peak of Mount Batur. The hike up Mount Batur remains one of my favorite memories of all time. I timed it so that I was hiking at sunrise the morning after a super moon. So, when we reached the top, the full moon could be seen setting off to one side of the peak while the golden sun rose on the other side. Steamed banana sandwiches and eggs, cooked over the steam rising from the depths of Mount Batur. As I snapped my pictures and got a video of the sun rising, my guide was busy making fresh, hot coffee while steaming eggs and bananas using the heat from the volcano itself. He then served me a basket with a hot steamed banana sandwich (sounds strange I know, but it was delicious! ), steamed eggs that were similar to boiled eggs and a mug of coffee. I was in heaven! The Mount Batur trekking tours often include either a visit to a hot spring after the hike or a visit to a coffee roasting spot to taste different coffees and teas, including the famous Kopi Luwak coffee (see #8 if you don’t know what this is!). The prices for tours range from $35 to over $100. Our tour actually included both the stop at the hot springs and the coffee tasting, all with a private guide for three of us, and is the most affordable and inclusive price I've seen! For the best price, shoot me an email at Rachel@RebelandConnect.co, and I'll intro you with the tour company I used directly. They were the best! And this same tour company then drove us around all day the next day for super cheap, and took us to The Monkey Forest, the healing waters of Tirta Empul, the hidden temple Gunung Kawi, the magnificent waterfall Tegenungan, the Tegallalang Rice Fields, and the Ubud markets. Relaxing and soaking in the scenery in the hot springs after descending Mount Batur. Welcome drink and snack included in our private tour and served at the natural hot springs. You’ll immediately see why this place is called the monkey forest. They are everywhere. And watch out! These little guys have no problem swiping any of your belongings. So, keep everything attached to you and close to your body. If you’re taking pictures, don’t get too close. I almost had by GoPro swiped! While it’s clear these monkeys are used to seeing humans, they are by no means “tame.” They are still wild animals, so don’t get too close and don’t try to touch them. The monkeys are for sure entertaining, but don’t forget to look around at the lush greenery and ancient carved stone structures. Baby monkey at the Monkey Forest in Ubud, Bali. A curious monkey on my shoulder as I descended Mount Batur after the sunrise. Gazing over the balcony of my private room in BliBli Villa, Penestanan, Ubud. Click image to book. The Airbnb I stayed at in Ubud is called the BliBli Villa. Go here, type “BliBli Villa” into the search bar, and it is the one located in Penestanan, Ubud. I highly recommend it. The owner is the sweetest couple that lives next door and is always offering to make you food. It’s super affordable, has a roof with a view, can sleep 8 people comfortably in 4 private rooms, and it’s walking distance to restaurants. To get all the way to the center of Ubud I recommend a taxi/Uber/Lyft or a scooter ride. The terrace farming in Bali absolutely fascinated me. The use of the land, despite it being steep-sloping hillsides, is mind-blowing. The farmers have found a way to grow the crops they need to survive in a seemingly unfarmable place. The rice fields form elegant patterns across the land. The vibrant green of the fields against the bright blue of the sky is captivating. And don’t rush through the fields too fast! Allow yourself to get lost, and if you’re lucky, you’ll find the old man who will play his flute for you, as you sip from a fresh coconut he has just cut open for you to quench your thirst, and then he will show you pictures of all of his family and convey his stories and history to you speaking limited English. Tirta Empul is a water temple that was founded in 962 AD. There are two healing pools that are optional to get into. If you choose to, you are asked not to get the temple clothes wet. These are the shawls and sarongs rented at the entrance to be sure foreigners are dressed appropriately and respectfully when inside the temple. So, if you would like to fully experience the cleansing waters, you are asked to bring your own skirts, pants and shawls that you can get wet. Despite the crowds as it is a very popular spot, this was a very moving experience for me. I highly recommend getting in the water, however, if you choose not to, wandering through the various stone carved structures as well as looking at the massive trees throughout the property is just as magical. Book these experiences yourself through the link below! Tegenungan Waterfall cascades over the rock face below near Ubud, Bali. This waterfall is quite impressive. Even from way off in the distance, you can hear the waters roaring. It’s a bit of a walk down to the plunging waters, but it is worth it. You can swim in the base of Tegenungan and even get all the way under it. But be careful, the water is powerful, and the pounding force makes it difficult to swim all the way up behind it. So, if you are not a skilled or strong swimmer I would not recommend going all the way up to the base. You can still swim in the water hole nearby and gaze at the rainbows created by the mist and sunlight rising up towards the sky. Tegenungan is listed as one of the top 4 waterfalls to see in Bali. This temple was an unexpected surprise. There is a long trail down into the temple area, and it’s alongside a small river with rocks and wading pools to wander through. The stone carvings had me feeling like I was in Indiana Jones and the Legends of the Hidden Temple. If you haven’t heard of this famous coffee, you will within your first few days of arriving in Bali. It is the most expensive coffee in the world. Why? Well, because it is handpicked by the Asian palm civet, a small, mostly nocturnal mammal native to Asia and Africa. But, it isn’t just handpicked by the civet, it is actually eaten and then defecated. Yep! You read that right. The coffee beans are collected straight out of the civet’s poop, washed, dried, roasted, and sold for anywhere between $100-$500 per pound. Did I try it? You bet I did! It was delicious, and I brought some back for my friends and family. You only live once, right? A cacao ceremony is an opportunity to connect with self and really open the heart up to possibilities, healing, creativity, magic and more. Cacao is considered to be a health elixir and ceremonial medicine. So much was released and unlocked for me at this event. If you are weary or unsure about it, that's even more of a reason to check it out. Get out of your comfort zone and go experience something completely out of the norm for you! Go for just the day or stay for the night and get one of your own pictures at sunset on the infamous swing in the middle of the ocean. That’s right! People travel from far and wide to snap this pic. You can’t deny, it’s a pretty magical image! 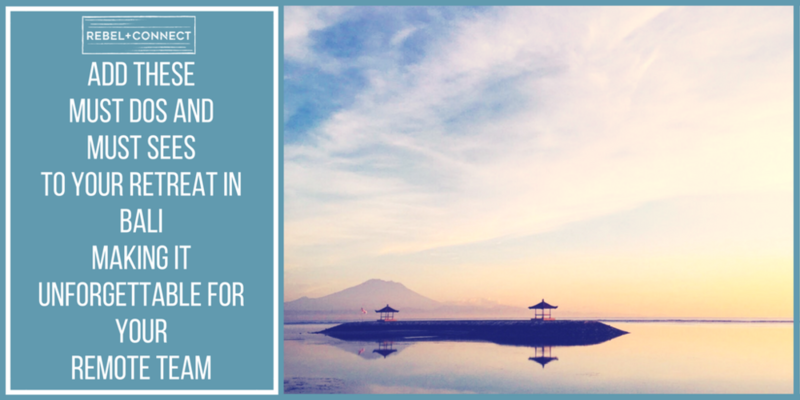 And given the affordable accommodations on Gili T, you might as well stay a night or two! Back to Bali...Canggu and Uluwatu are said to have the best surfing on the island. Three of the best spots in Canggu are Echo Beach, Berawa Beach, and Old Man’s/Batu Bolong Beach. Canggu is supposed to be better for beginners than Uluwatu, so I guess I’ll just have to go back and try it out! Uluwatu is a cluster of 6 different reef peaks with roughly 100 meters between each peak. Uluwatu requires a bit more skill to surf, but there are surf shops nearby that rent equipment and that can provide guidance. Images courtesy of www.vilondo.com and www.lushpalm.com. Find the daily surf report for Canggu here. Find the daily surf report for Uluwatu here. A popular dive in Amed is the Japanese shipwreck and USS Liberty. The shipwreck is nestled on a slope that is about 10 meters deep. This Japanese shipwreck is a good dive for beginners. The USS Liberty shipwreck offers a variety of underwater terrain to satisfy both the novice and experienced diver. The marine life below is colorful and curious at times, and diving in the morning provides more opportunity to gaze at the variety of fish and coral. And these are just two of the dives offered at Amed. There are many dive sites around the area likely equally inspiring. Dives cost roughly $75-95 for two dives. It is estimated that there are 20,000 temples on the island. Pura Penataran Agung Lempuyang is one of the few places still almost a secret and not overrun with tourists. This temple is more than 30 minutes from Ubud, so if that is where you are staying, I recommend hiring a driver to take you out there and back. A rough estimate for a driver in Bali is 50,000 Rp per hour. The driver’s price should not be based on how many places you visit; only pay by the hour. Entrance to Lempuyang is a suggested donation of 20,000 Rp (~ $2 CAD/$1.54 USD/ $2 AUD) so just be prepared to donate something. The view of the Gateway to Heaven in the photo below is the first out of seven temples on this mountain and about 3 minutes up from the entrance. The main temple, temple #7 is a 1,700 stair climb to the top, starting at the Gateway to Heaven. It takes roughly 2 hrs to get up and 4 hrs to get down, and it is not recommended to do this climb if you are not physically fit. So go for it! What are you waiting for?! Wall art near the market in Ubud, Bali. 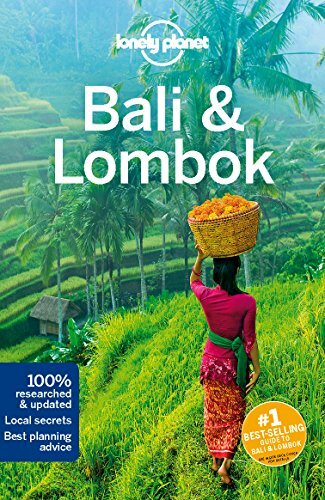 I hope you've enjoyed reading some of my recommendations for traveling through Bali! If you check them out yourself, leave your favorites in the comments! If I didn't mention a place or experience that you think needs to be included, let me know at Rachel@RebelandConnect.co. Start booking your travels below! Ready to book your company retreat to Bali? So excited you're not sure where to begin? Contact Rebel + Connect today and we'll do a FREE consultation! What are you waiting for? ?